James Duffy Henderson was born October 21st, 1982 at Calgary Alberta, Canada. The tall six foot five, right hand pitcher was attended Midland College in Texas & Tennessee Wesleyan College as well. He was drafted by the Montreal Expos in 2003 as a 26th round pick. Henderson would spend ten years pitching in the minor leagues, for the Expos, Chicago Cubs, Washington Nationals & Milwaukee Brewers. He would also pitch for Team Canada in the World Cup Tournaments. He was briefly a started but by 2006 was a full time reliever. In 2009 he posted 21 saves combined in A ball & AA ball. 17 of those saves came at Wisconsin where he posted a 1.07 ERA. In 2012 he was a PCL All Star pitching for AAA Nashville posting 15 saves with a 1.88 ERA. Overall in the minors he is 41-38 with a 3.92 ERA with 64 saves. On July 26th, 2012 he finally got to the majors debuting with the Milwaukee Brewers pitching an inning of relief against the Washington Nationals. He remained on the club making 36 appearances going 1-3 with three saves. In 2013 he replaced Brewer closer John Axford who was struggling mightily. His fastball got up to 98 mph & he developed a nasty slider as well. He ended up with 28 saves in 32 opportunities, striking out 75 batters in 60 innings over 61 appearances. 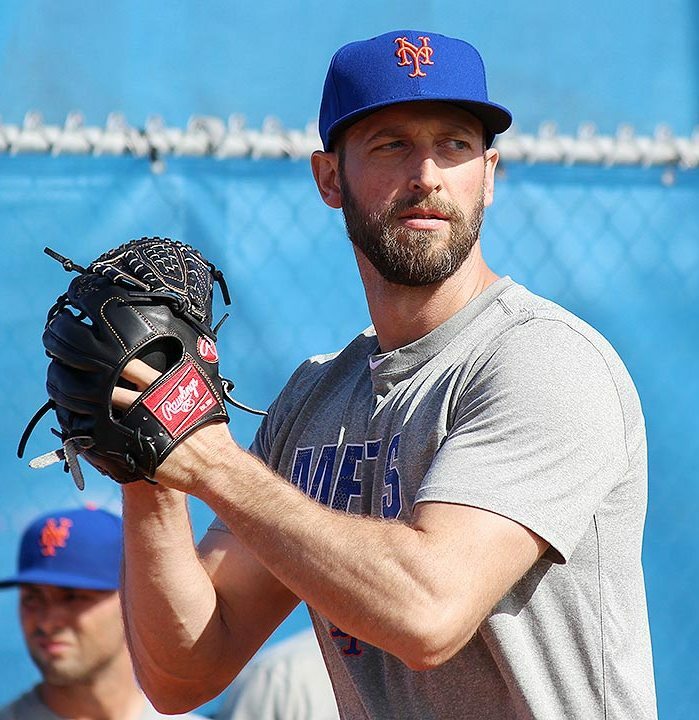 He went 5-5 with a 2.70 ERA, crediting former Met Francisco Rodriguez in tutoring him. K-Rod would fill in for Henderson when he went on the DL as the teams closer until he was traded to Baltimore. Rodriguez would return the next year as a free agent & be the Brewers closer. Henderson had shoulder issues & ended up needing surgery while his season ended in August after pitching just 14 games. In 2015 he returned to pitch at all three levels of the minor leagues in 35 games. 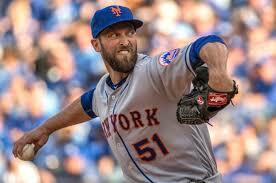 He was granted free agency at the end of the year & signed a one year deal with the New York Mets. He had a good enough Spring Training with 13 strike outs & a 1.69 ERA in 10.2 innings. to earn him a trip North with a spot in the Mets bullpen. In the second game of the 2016 season, he made a 7th inning appearance out of the Mets bullpen, striking out two Royals in the 2-0 Mets win at Kansas City, help preserving Noah Syndergaard's shut out bid. In the Mets home Opener on April 8th, he would do the same thing to the Philadelphia Phillies; a perfect 7th with two K's. 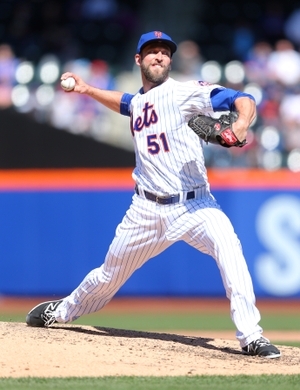 On April 10th he continued to impress striking out the side in the 7th inning in a 5-2 Mets loss. He gave up his first run on April 12th, he came on in the 8th inning of a 1-1 tie with the Miami Marlins. He allowed a base hit, then a pair of walks before being relieved by Jerry Blevins. Blevins gave up a sac fly to pinch hitter Martin Prado that scored what was the winning run, charged to Henderson as he earned his first loss. Henderson threw a career high 34 pitches in that inning, the most of his MLB career. The next afternoon in a matinee at Citi, with the Mets short of arms, manager Terry Collins called upon him again to pitch again, in relief of Logan Verret who had shut out the Marlins thru six innings. Obviously the work load was too much as he got into another bases loaded jam, walking two more batters. He was bailed out by Hansel Robles & Jerry Blevins who shut down the Marlins. The Mets went on to a 2-1 win. He closed out April with three holds in the final week. 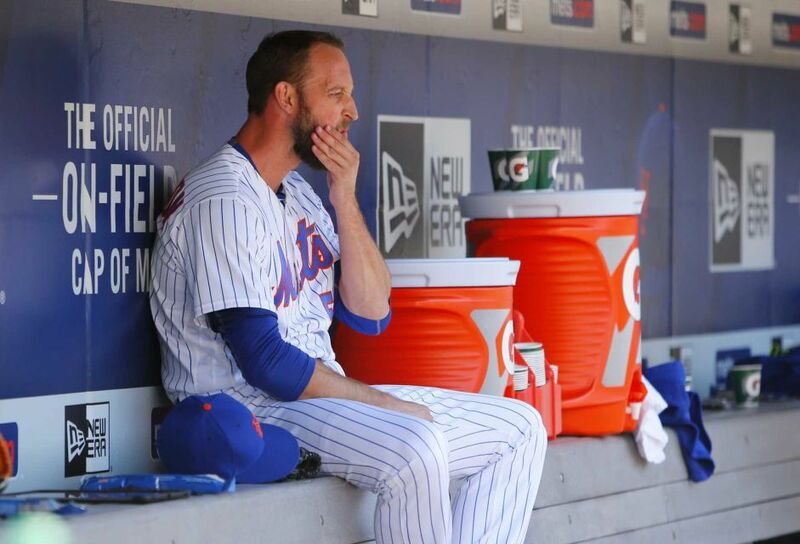 Over the next two months he blew two save chances, as the Mets lost both games. On June 4th in Miami, he earned his first win of the year. It was middle relief appearance where he retired one batter. After a June 18th game he went down with tendinitis, the injury made him miss two months of action. When he returned the team had changed, as injuries affected everyone especially the pitching. He had lost a chance to pitch in the late innings as Addison Reed & new comer Fernando Salas had the 7th & 8th inning roles. Henderson did record two more holds, collecting a total of 11 on the year. On September 22nd, he earned an extra inning win as Asdrubal Cabrera hit a walk off HR to beat the Philadelphia Phillies. On the year he was 2-2 with a 4.37 ERA, 40 Ks & 14 walks in 35 innings of work in 44 appearances. In his career he is 10-11 with a 3.68 ERA in 155 games pitched.